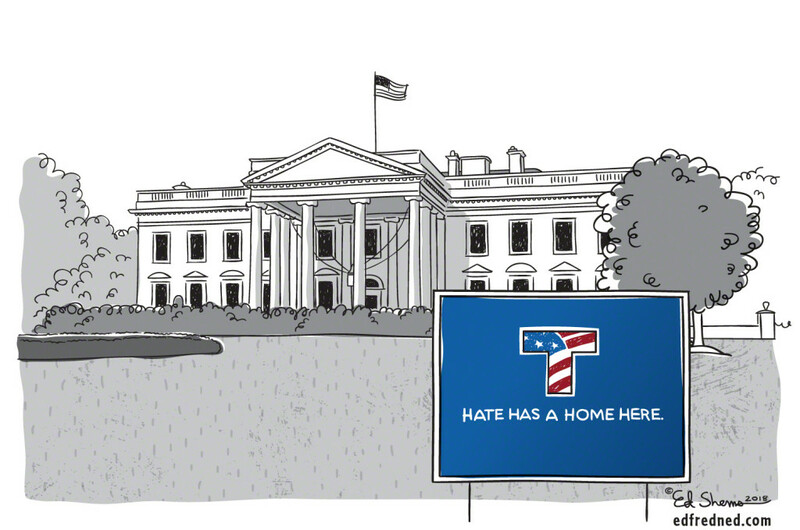 Hate Has a Home Here. Unfortunately. I love seeing the yard signs around my town espousing love for everyone, rather than the intolerance we see and hear from some of our leaders in Washington D.C. This editorial illustration is unfortunately just too real. If you would like to support Hate Has NO Home Here, you can visit their website and purchase a yard sign, magnet or poster.